Brazilian planemaker Embraer SA on Tuesday fell to a second-quarter net loss of $126.5 million on fewer commercial and executive jet deliveries and a steep drop in revenue at its defense aircraft division. That missed the $48 million net profit expected by six analysts in a Thomson Reuters survey and was down from a profit of $62 million a year earlier. Embraer this month reported a 20 percent drop in jet deliveries to airlines, weighing on revenue in its commercial aviation operations. The unit is set to join a joint venture with Boeing Co (BA.N) under plans expected to close next year. Its earnings before interest, taxes, depreciation and amortization (EBITDA) fell by 83 percent to $44 million, missing an average forecast of $142.5 million. Embraer initially reported earnings in Brazilian reais, before releasing its results in U.S. dollars. The company said consolidated revenue fell by 29 percent to $1.26 billion due to lower deliveries of commercial and executive jets. 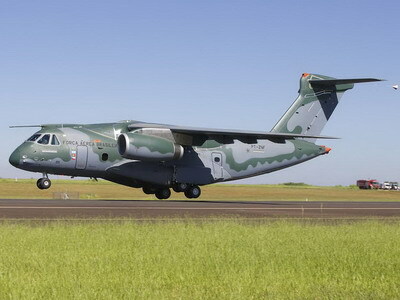 Embraer also reported a significant 88 percent decline in defense segment revenue to $34 million hurt by cost base revisions related to its KC-390 development contract.